I’ve spent months investigating payday loan companies for Which? Money. I was expecting to focus on the eye-wateringly high APRs, which can reach thousands of percent. But what I found was much more worrying. Payday loan companies defend their high charges by claiming that they’re only designed for short-term borrowing. And yet, the way some companies work could be encouraging customers to borrow more and more over a longer period. Several companies in our test encouraged borrowers to extend (or ‘roll over’) their loan, sometimes for several months. You have to pay off the previous month’s interest first, but you’ll still incur an extra monthly interest charge of around £25 per £100 borrowed for each month you roll over the loan. Borrow £100 for four months and it’ll cost you £100 in interest. Some of the lenders told the mystery shoppers in our test that the amount they could borrow next month would be guaranteed to increase, provided they pay this loan back on time. In one case, the initial loan of £100 was followed by a loan offer of £1,200. I think this is irresponsible. Payday loan companies claim that APRs are irrelevant as their loans are only designed for short-term borrowing – not the full year that the APR implies. However, I believe this picture misses a crucial fact. 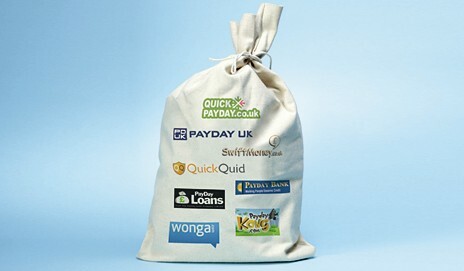 Take out a payday loan with company A. Before loan A is due to be repaid, apply for a second loan with company B. Loan B will need to be a bit higher than loan A to cover the interest. Use that loan to repay loan A. Watch out, loan B is due to be repaid! What can I do? Luckily, company A is offering me a guaranteed loan of double the amount it lent me a couple of months ago. I’ll take out that new, increased loan to repay loan B. Double hurrah. Lender B also guarantees to lend me more the second time round, so I’ll use that to pay off the second loan from company A.
I can keep doing this until either A or B pulls the plug. At that point I can’t afford to repay the final loan and I go into default, leaving me in real financial trouble. Payday loans can, in theory, offer a short-term solution to an immediate cashflow problem. However, the structure that many providers have built into their lending systems, whereby loans can be automatically rolled over and/or increased, could encourage cash-strapped consumers to enter a cycle of unmanageable debt that will probably only end in far greater money problems. Not all payday loan companies work this way. And yet, I find some companies’ apparent disregard for the long-term finances of their clients astounding. What do you think? Absolutely spot on with this article, and it is happening all around us. What is also just as worrying is that loan A and B soon become C, D, E and so on if the situation doesnt change – this is exactly what happened to me. I found myself borrowing from 12 different loan companies, many at the same time, for a period of 18 months before it all came to a catastrophic end. In that time I took no less than 64 payday loans !! It is a figure batted about by many, but this figure doesnt include the ‘rollover loans’ from companies such as Payday UK, one of the largest lenders in the game. In 18 months I borrowed only 3 times, yet was paying interest only payments for almost the full duration, it converted less than £1400 of borrowing to over £2700!! Other companies like Wonga I found myself paying in full and borrowing again, at higher amounts because my ‘trust rating’ was going up. Pounds Till Payday actively suggested twice in writing I should pay off and borrow again as the only viable alternative to defaulting, even though they knew of my history!!! I have always stated my own share of the blame, but joint accountability for these issues people across the UK are experiencing. It is the responsibility of the loan industry to identify problem customers and help them, and it is not difficult to see someone borrowing more on a month to month basis is no longer borrowing to pay for a short term emergency situation but for long term cries of desperation. Articles such as this are paramount to increasing awareness of the situation and for that I applaud its creators. I’m really glad you’re looking into this Martyn. You have missed a significant point. 4 million people a year use unauthorised bank overdrafts. With new transparent pricing, costs are £5 or £6 a day. So borrow £100 from a payday lender over 30 days and you pay back between £110 and £130 (depending on where you borrow). Have a £100 unauthorised overdraft for 30 days and you pay back between £250 and £280. For managing short term cashflow, payday loans work well for most people and are MUCH cheaper than the overdraft alternative. Hi Duncan – I agree that unauthorised overdrafts can be hugely expensive. We’ve got some more research coming out over the weekend showing the cost of borrowing through a payday loan company, authorised overdraft and unauthorised overdraft – as you’d expect, it makes a huge difference which bank you have your current account with. Duncan – I believe you are over stating the significance of unauthorised bank overdrafts, it is the same trick other representatives of the payday loan industry have used time and time again. Who is suggesting that people take out payday loans to prevent bank charges? Many of the so called emergency situations involve paying out for vet bills and small holidays etc, which wouldnt necessarily put a person overdrawn. I took my first payday loan to cover a small holiday, had nothing to do with the banks. Also have to disagree with the figures stated. The industry claims people borrow for around 2 weeks on average, so based on your theory people borrow this money to prevent being in an unauthorised overdraft for 2 weeks. Do the maths, have an unplanned overdraft for 14 days and it will cost around 120 pound – less than your payday loan. Would you like me to discuss borrowing 200 pound from a payday lender, and the interest on that? 300, 500?? 750 even. I think not. I have read that many people who use overdrafts and loans or have large credit card balances have plenty of money in savings accounts. It would be better to keep money in a current account. This could avoid huge interest charges and the interest rates on savings accounts are not very good at present. These loans are not compulsory. Why is it assumed that none of these borrowers knows what they are doing. A+B-A etc sounds like it would take a bit of planning. Like most products Which? tests, they only work if used properly. Have the businesses you are to feature been given an opportunity to respond to the assertions made, and will you be publishing what they have to say? Hi Duncan. We’ve given the right of reply to all of the companies we think are in breach of either consumer credit or privacy legislation. This will be reflected in our coverage available from Saturday. I’d also encourage the companies to comment here on Which? Conversation – most of the faults we found in our investigation could be easily fixed, so we’re keen to keep the dialogue open to make the market work effectively. It is always welcome to read input from companies, Duncan, but how do we know that they are genuine and not just someone who has no authority or even involvement with the company? I much appreciate what you are trying to achieve, but I will be surprised if any of the companies does make an input. It is always welcome to read input from companies, Martyn, but how do we know that they are genuine and not just someone who has no authority or even involvement with the company? It is a shame you did not investigate CMs technology aka toothfairy finance who if you default resort to threats passing your debt between their 2 other bogus companies thereby tripling the debt.I am currently recording a documentary regarding payday companies.when you have the loan and you default it is scary ,banks with their £6 a day eg RBS owned by the taxpayer are no beter than loan sharks. There are two facets to the problem that need particular attention. 1. Wonga et al are quite right that APR is a totally inappropriate measure for short term loans. For example: Credit Unions are constituted so that the maximum rate that they can charge is 2% a month. Simple enough, but the government regulations require them to show APR 26.8%. Equally for loans that they put out at 1% per month, the government makes them show 12.68% APR. Short term loans need to be measured using a Monthly Percentage Rate and/or Total Cost of Credit to enable reasonable comparisons to be made. 2. Roll Overs are where the real problem lies, and of course where the big profits are for the lenders. BBC and most newspapers manage to organise a right of reply, why is it beyond Which? One-sided conversations lack credibility and undermine the brand. We did give the companies accused of rule breaches the right of reply for the article in October’s Which? Money. All of these companies have my address, email address and phone number, so it would be straightforward to verify if comments on this Conversation come from those companies (and to remove any that purport to be from the companies, but are proved to not be). Of course, we have full documented evidence of the poor practice featured in the article and wouldn’t publish without this. What right of reply are you expecting to see from the companies? Unless it’s an admission of poor practice and a promise to fix the problems we uncovered, there is little more the companies concerned can say and the evidence speaks for itself. I look back in horror at my payday loans – some still unpaid – and the fact that I willingly gave my bank details to these unknown companies. They have helped themselves to money from my account and pushed me to the edge of suicide as I risked loosing my home. I have paid them back many times over but still they want more. The worst is probably Uncle Buck. Seriously these people are criminals. The interest rates and the way they help themselves to your money without telling you and without any sort of common courtesy if you have problems repaying. I am astonished that this lending is not made illegal. These people are loan sharks pure and simply and I urge Which to do all in your power to get them closed down. Preying on the desperate – they really are the scum of the earth. Hi Susan – spot on with your comments and I understand totally just how close they pushed you as I went through the exact same heartache – as with you some of my debts are still outstanding despite everything I have fought against. not trying to steal your spotlight Which … but I do have a petition to sign up to etc, every bit counts, right? I was in the same situation. I closed my bank account and opened a new account with a different bank and contacted all 8 of my pay day lender and set up a payment plan of what I could afford. It has taken me a year to clear of all them but now I am pay day lender free, no more suicidal thoughts and I have also been successful in claiming back money from one of the pay day lenders. Please, be assured that there is a solution and I am proof that you can get out of a hole. Have you noticed the small print on TV adverts for these lenders? These are loan sharks, with suits on – how do I report these loathsome companies? I have sympathy with JC at this festive time of his birthday – he cast the money lenders from the temple – so maybe the church(es) should get with the times and also condemn these penders of misery. I believe the government should cap all personal loans (including unauthorised overdrafts) at a maximum of 50% APR. That should be enough return for any ethical financial institution. A typical payday loan of £100 would then incur £25 interest for the first month, £25 interest for the second month and no interest for the next 10 months. Only a total mug would use a pay day loan. Yes managing finances can be difficult, but to default on a loan & risk losing credit is downward spiral that many find very hard to recover from. Unfortunately this only seems to be learnt from experience. Possibily it is time to teach simple finicial control to teenagers & stress just how important credit history actually is. I used to be recommended this website through my cousin. I am not positive whether this post is written via him as nobody else recognise such specific about my difficulty. You’re amazing! Thanks! The way to deal with payday loan companies is to complain to the Financial Ombudsman service. If they consider the claim from the consumer to be fair they can compel these companies to pay compensation; if enough people do so, they will have to change their ways in order to remain profitable. The Government should also ensure that far greater checks are put in place: on the point of applying, if there is any history of other companies being used then the customer should be redirected to stepchange or other debt charities; roll-overs should be banned; one should only be allowed to borrow 30% of total dosposable monthly income; interest rates to be capped and overdraft fees to be investigated fully.